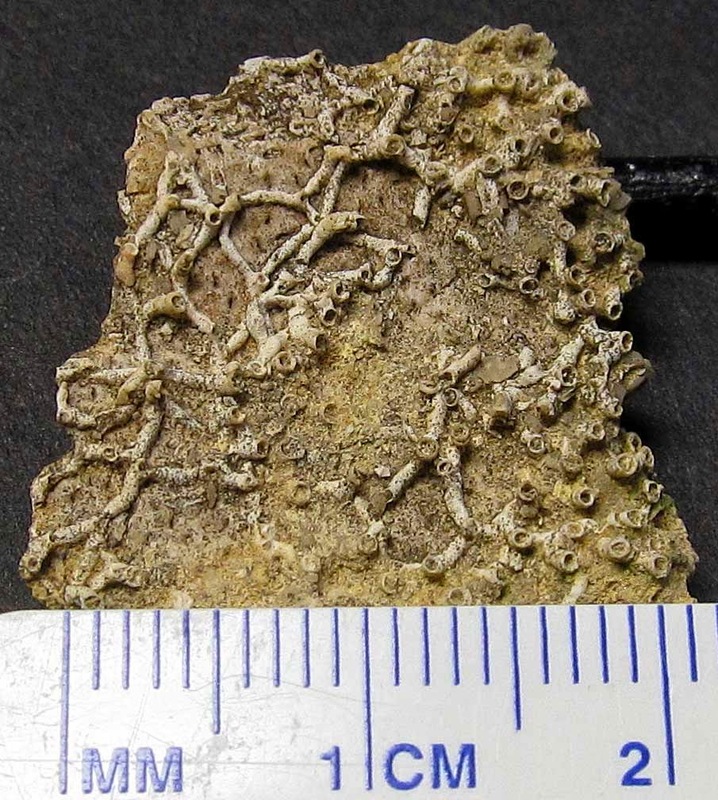 Here is a picture of a very small fossil found in the Louisville Limestone of Jefferson County, Kentucky USA. The fossil appears to be an Aulopora pygmaea. It existed in the Silurian Period. I am use to seeing Aulopora growing on brachiopod fossils but this one appears to be a stand alone colony. Consult Erwin Stumm's 1964 book Silurian and Devonian Corals of the Falls of the Ohio page 84 and plate 77, figure 7 (pages 168-169).